Thank you for taking your time and checking information about our company! 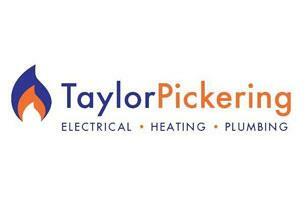 Taylor Pickering Ltd. is a fast growing one stop shop for heating, plumbing and electrical services based in Leicester. Since our family run business began in 2009, we have supplied, installed, serviced and maintained boilers across Leicestershire, the Midlands and the UK. Among our Engineers we have got 65 years of experience! Our mission is to offer a service that our customers can truly rely on and recommend to Family and Friends! We understand that things go wrong, at times when you least expect it - and normally it’s the last thing you need. From boiler breakdowns to major leaks, our team will respond to your call and be there to offer help and advice quickly. We are taking care to provide you with fast solution at fair price and smooth process. We also taking card payments at the site or over the phone for your convenience. Any questions please reach out or push the request call back button and we will contact you within 24h!